The weather this summer has been unbearable, so far. Colorado has had horrible fires that thankfully, are nearly all contained by the time of this post. It was hot and humid on the 4th of July, so ice cream was the best remedy to the solution. The Fearless Cooking Club challenge was for each member to bring an ice cream dessert. A few members were concerned about what to make as they had no ice cream maker. Alas, everyone rose to the challenge of making ice cream, and for most members, for the very first time. To begin our “star”, Joy made three, yes you heard me, three ice cream desserts. She is holding the Honey Ice Cream recipe by The Hungry Australian blog site. 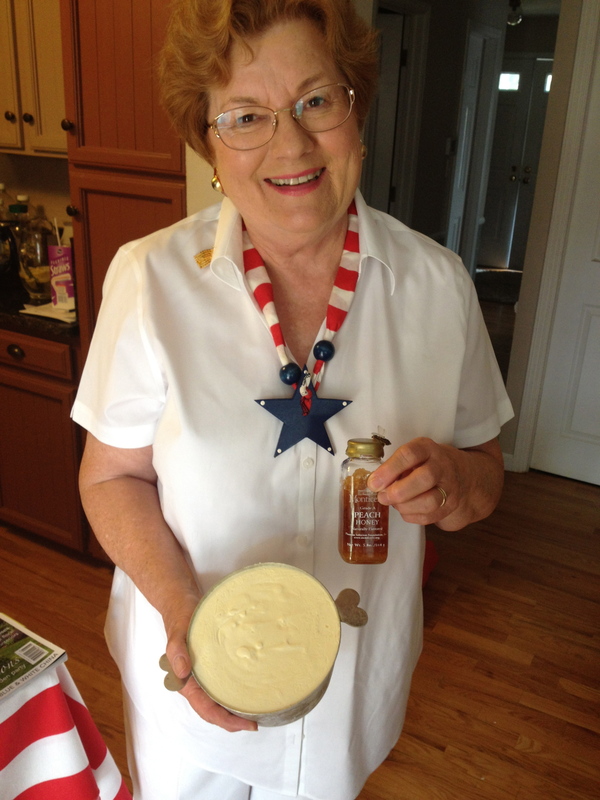 Joy had honey all the way from Mt Vernon, Virginia. This recipe does not require an ice cream maker and the cream is whipped prior to combining all the ingredients. We only wished we had some honey from the bees who pollenate the eucalyptus trees. Joy then brought out a lavender ice cream from an edition of English Home magazine. One taste transported me to a tea room sipping hot tea and a lovely biscuit. And lastly she made a homemade ice cream cake out of two cartons of ice cream and cookies. She found the ice cream cake container at home. Her basement is a great supply closet for all kinds of kitchen equipment. 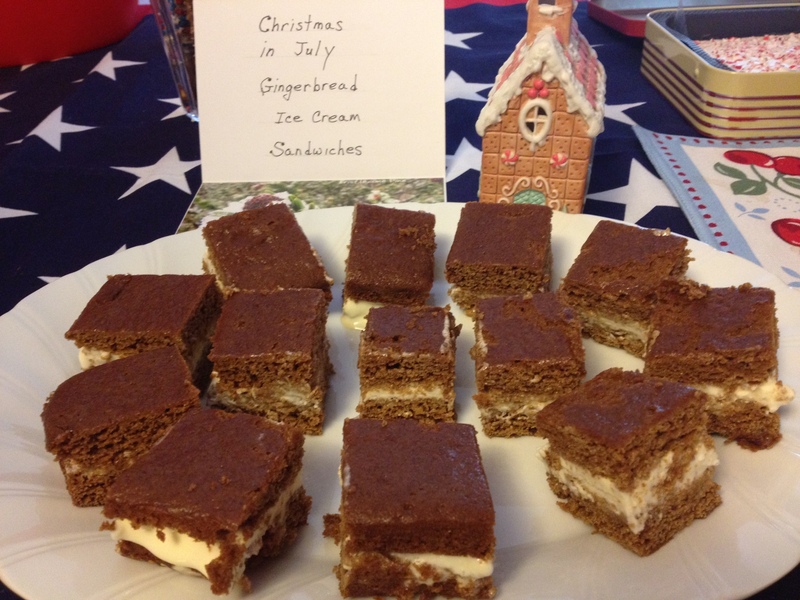 Cindy, our newest member, made the WordPress Freshly Pressed recipe Christmas in July Gingerbread Ice Cream Sandwiches from Cookie Talk. She said that she messed up the gingerbread as she didn’t have parchment paper. But she put the “damaged” gingerbread on the bottom layer and no one knew there was a problem. She had a cute presentation didn’t she? 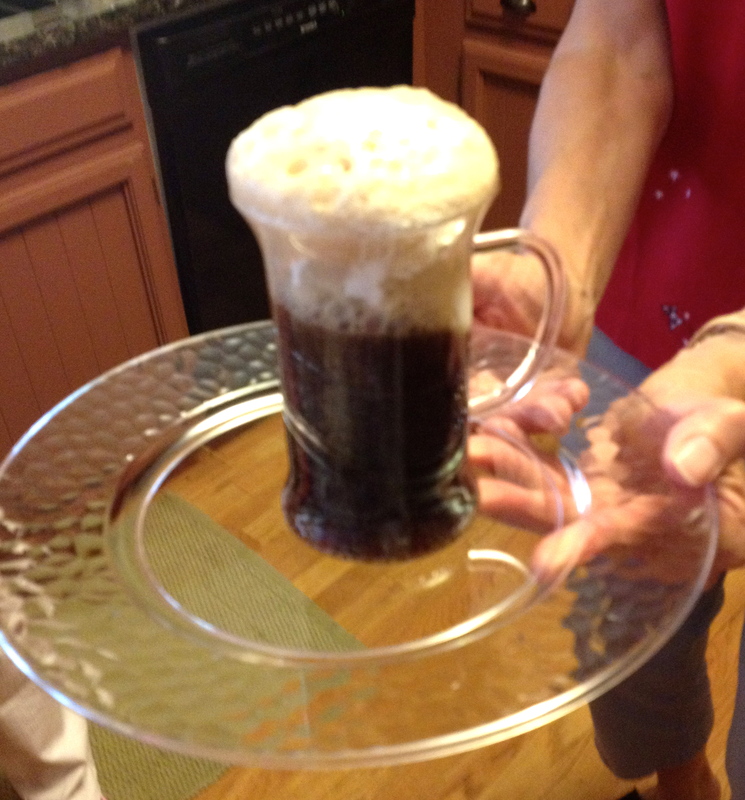 Next up, our calorie conscious member Char, made Brown Cow Ice cream floats. She had a soft serve ice cream machine that she made vanilla ice cream with Splenda, sugar-free chocolate syrup and Diet A&W Root Beer. Julie made a chocolate ice cream that she made with sweetened condensed milk and silky chocolate. It served well in popsicle form. 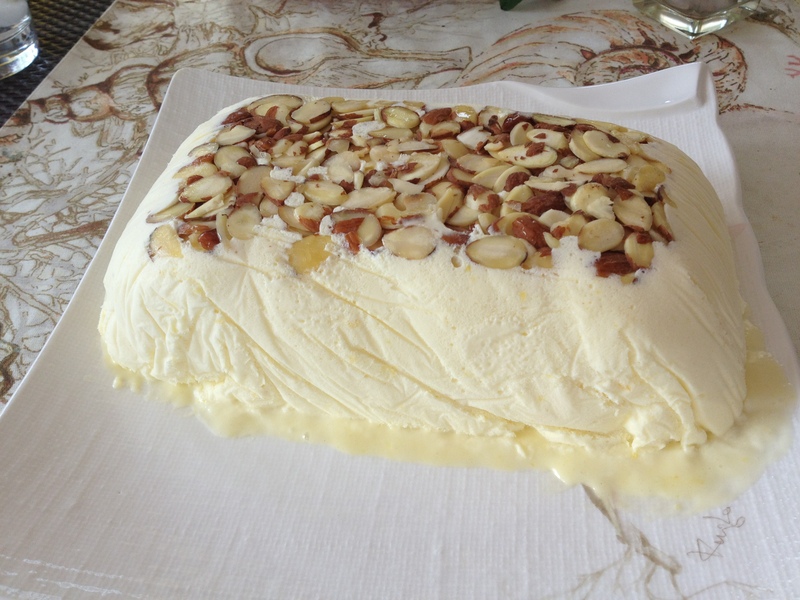 Barb made a fabulous Lemon Semifreddo by Anne Burrell Food Network. It tasted like frozen lemon meringue pie. So refreshing. 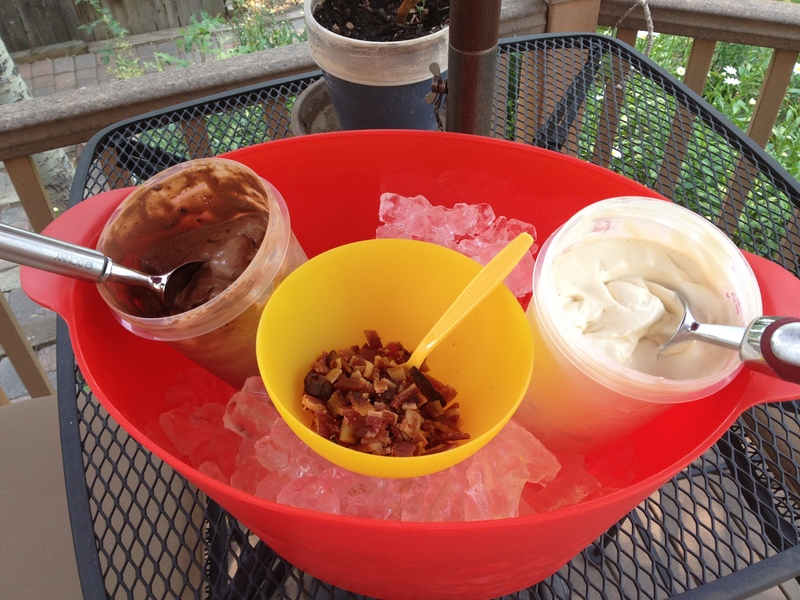 Lastly I brought my ice cream: Maple Bacon Cayenne (on the right, this time marinated with bacon) and the Mexican Style Chocolate Ice Cream (left). The bacon was chopped and provided as a topping. 1. Everyone was equally impressed by each other’s efforts. Luckily, husbands and grown children came by to partake in all the sweets. We had lots of savory like veggies, chips and dips to balance out the sweet. 2. All of the ice cream treats were delicious. My personal favorite was the semifreddo. It was so unique and fresh. Anne Burrell is becoming one of my favorite chefs on the Food Network. Her recipes are so tasty and easy to replicate at home. Halfway through the summer. The monsoon rains started and cooled everything off for a few days. It will be back in the 90s later this week. Stay cool out there. This entry was posted in Cooking Clubs, Food, food blogging, ice cream and tagged Anne Burrell, cooking clubs, food, Food Network, ice cream. Bookmark the permalink. Mmmm….looks good! 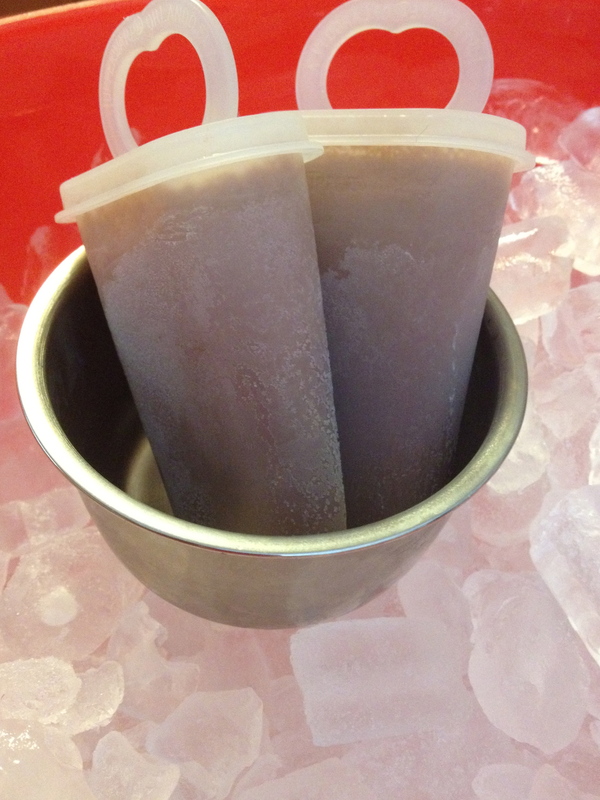 Now I really want a rootbeer float and a chocolate popsicle. Hi Patty, What fun and so delicious! All the different flavors were tastey and satisfying . Again, thanks for organizing and to Barb for hostimg. Those will cool you off! It was a lot of fun wasn’t it. I think everyone was surprised and impressed by the variety. Barb is a great hostess. What a fun ice cream social! Everything looked soooo good especially on a hot day. Glad you stopped by Mama! Stay cool out there! What a fun day! everything looks delicious! Thanks Jacquie. It was fun. Everyone was talking about for weeks later. Lovely way to get through summer! love all the ice-cream ideas! Thanks for the compliment Jo! And thanks for dropping by! Aww! That looks SO damn good! I’m really melting from the insides! Thank you for this wonderful recipe!! I LOVE it! which one looked the best to you? so glad you enjoyed the ice cream and the post of the social.